The first snowfall of the season and the Thanksgiving Holiday may already be behind us, but the Allentown Rescue Mission’s Clean Team is staying thankful – sporting new equipment in preparation for whatever mother nature brings! During last year’s winter season – a quick visit to Allentown’s Downtown District after a snowy day or night was greeted by a dozen or more Clean Team employees in their blue uniforms – clearing sidewalks, crosswalks, and meters – with snowblowers, shovels, and brooms. This season the Clean Team is stepping it up and added a 2019 Kawasaki Mule UTV with 72” snow plow and rear mounted salter to its stable of equipment, as well as two new commercial Ariens Professional 32” snowblowers. The Mission’s Clean Team is the City of Allentown’s contract holder to provide maintenance services for the downtown business district and adjacent neighborhoods. Duties include year round litter clean-up from sidewalks, special event set-up and tear-down and in-season powerwashing and snow removal on Hamilton Street sidewalks within the district. The Clean Team’s primary duty for the City is litter clean-up of sidewalks. Year to date, Clean Team employees have handpicked more than 59,000 lbs of Recycling and 63,000 lbs of trash from the City of Allentown main streets and alleyways in the areas between Walnut and Tilghman streets from 4th to 12th Streets. All employees of the Clean Team are formerly homeless men and paid above Pennsylvania state minimum wage. During their employment on the Clean Team, the men learn job readiness values – while performing real work in the community until finding permanent jobs at companies within the Greater Lehigh Valley area. 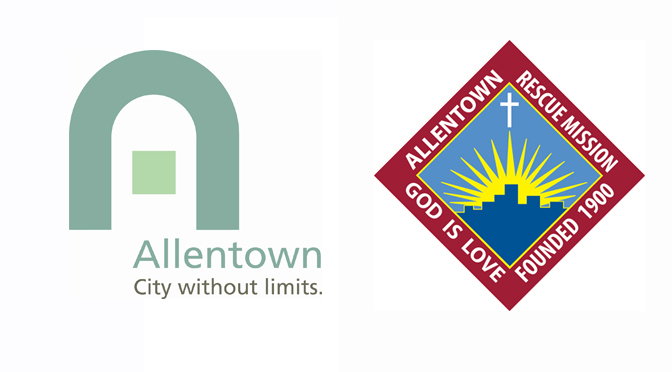 Founded in 1900 by Obadiah Becker, the Allentown Rescue Mission has addressed the root causes of homelessness across the Lehigh Valley for more than a century, providing rescue, rehabilitation and restoration through faith-based programs based on accountability and compassion. It operates as a non-denominational, Christian, social services organization that delivers critically needed goods and services to homeless and impoverished men. Although not a church, the Mission does work closely with many different churches that are concerned about poverty and homelessness. It does so without regard to race, color, creed, national origin or religion.